Getting your data transfer processes in order is a great first place to start on your path to GPPR Compliance. Wizuda’s unique software solutions are built with privacy by design and include a multitude of powerful compliance features enabling your organisation to transfer data and share files in accordance with the GDPR requirements. With the clock ticking down to May 25th 2018, find out how Wizuda can ease your path to compliance with our new explainer video. 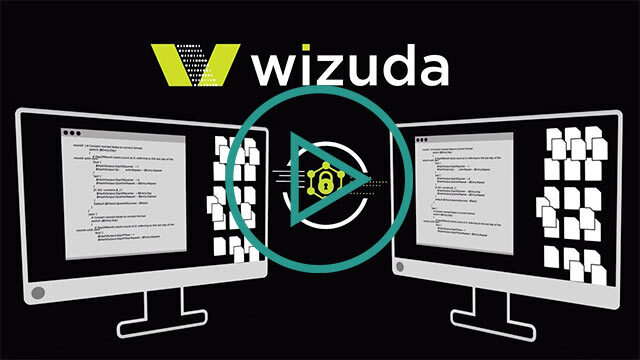 Regain full visibility and control over where your data is going and how it gets there with Wizuda’s Compliant File Share. 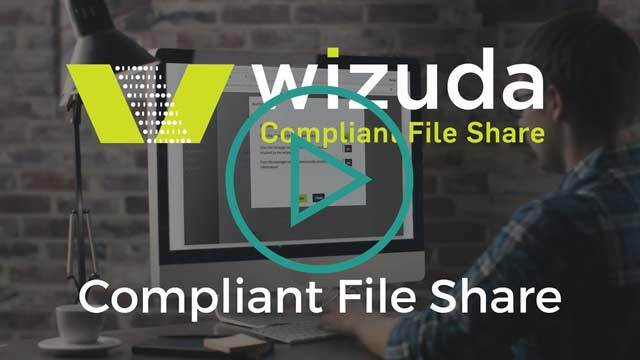 Wizuda’s Compliant File Share (CFS) software is the secure and easy to use alternative to email for sharing files or messages of a personally or commercially sensitive nature. The secure file share features, along with a wide range of compliance functionality, enable organisations to share information in accordance with the GDPR requirements. 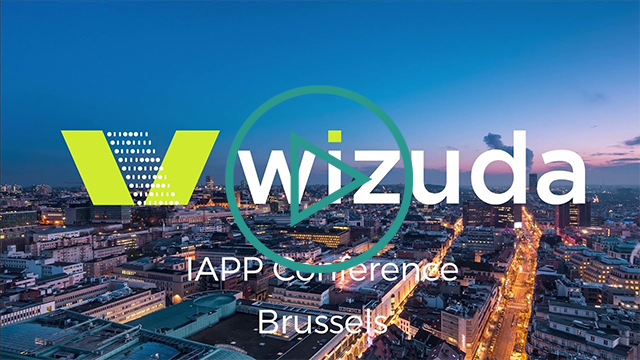 Wizuda were delighted to be a silver sponsor of the 2017 IAPP Europe Data Protection Congress which took place in Brussels from the 7th – 9th November. Managing Director Danielle Cussen delivered a presentation on the Big Little Stage entitled ““Do you know where your data is going? The importance of compliant data transfer processes and how to avoid the common data breaches”. Here is a promo video of the day. As Gold Sponsors of the 2017 DPO Conference which was held on the 25th & 26th of January, in the Aviva Stadium Dublin, we launched our new GDPR compliant data transfer software. With our impressive new trade booth stand, complimentary Wizuda filled satchels, and our Director of Data Services Danielle Cussen giving a speech on ‘The new world of proof: bringing data transfers into the circle of compliance’, the conference was a real success. Here is a promo video from the day. Danielle Cussen, Director of Data Services at Wizuda, addresses the audience at the DPO Conference in the Aviva Stadium Dublin, on the 26th of January. In this section of Danielle’s speech on ‘The new world of proof: bringing data transfers into the circle of compliance’, she discusses the anonymization and pseudonymisation of data transfers. 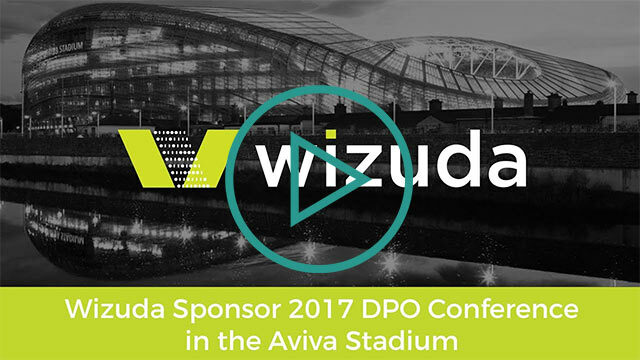 Danielle Cussen, Director of Data Services at Wizuda, addresses the audience at the DPO Conference in the Aviva Stadium Dublin, on the 26th of January. In this section of Danielle’s speech on ‘The new world of proof: bringing data transfers into the circle of compliance’, she talks about the various stages involved in compliant data transfers, and named this stage process as the GDPR Circle of Compliance. Check out part three of our three-part series which explains important GDPR related concepts. This short animation explains the important role of data minimisation under GDPR and includes an easy to understand example of how data minimisation can be applied in a real-world scenario. Check out part two of our three-part animation series which has been created to explain important GDPR related concepts. This short animation explains data pseudonymisation in five minutes and includes an easy to understand example of how data pseudonymisation can be applied in a real-world scenario. Check out the first of our three part animation series which has been created to explain important GDPR related concepts. This short animation explains data anonymisation in just over 3 minutes and includes an easy to understand example of how data anonymisation can be applied in a real world scenario. This short video explains why using in house scripts makes it difficult for businesses to securely manage and control all of their internal and external data transfers. 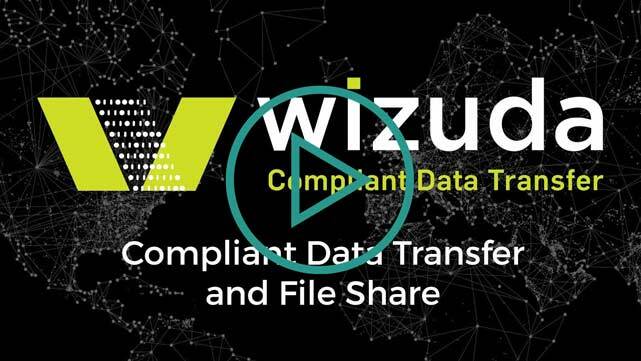 See how the Wizuda Compliant Data Transfer solution can help IT achieve operational effectiveness in line with their business objectives. The best way to demonstrate the software’s functionality and capabilities is to experience it yourself. Speak to a member of the Wizuda team to sign up to a free trial today. © 2018 Wizuda | All Rights Reserved. At Wizuda, it is our policy to comply in full with all GDPR requirements, with immediate effect. To see our full privacy statement, click here. Please use the opt in boxes below to indicate the types of communication you agree to receive from Wizuda. We will only ever contact you in accordance with your instructions. I consent to receiving telephone communication from Wizuda in relation to my specific enquiry. I consent to receiving one on one email communication from Wizuda in relation to my specific enquiry.